White to the rescue for the Wallabies? 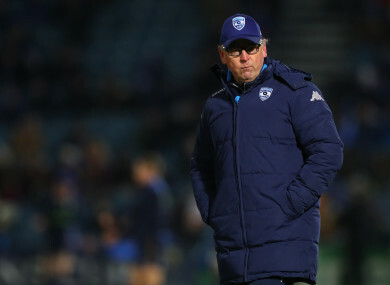 RUGBY AUSTRALIA HAS has backtracked on its earlier decision to take a call from Jake White, who reportedly offered his services as Wallabies head coach. Australia boss Michael Cheika has endured a tough year at the helm, finishing third in the Rugby Championship and winning just one of three Tests this month. And former South Africa coach White, who led the Springboks to Rugby World Cup glory in 2007, had made contact with RA in an apparent bid to put himself in line to take over from Cheika. But with news of a planned call reported in the media, piling more pressure on Cheika, RA announced that it would no longer be talking to White. RA is conducting its annual review of the Australia team, meanwhile, with the organisation acknowledging there will be added interest after a “challenging year”. “Rugby Australia is conducting a review process at the end of the Qantas Wallabies season, which is understandably attracting additional attention due to the challenging year the team has faced,” chief executive Raelene Castle said. “We acknowledge and understand the frustrations of Wallabies fans over recent results and we are completing a thorough review ahead of an important year for the team, which culminates with the Rugby World Cup in Japan. “The review commenced within the Wallaby team environment immediately after the match against England last weekend, with players remaining in camp to complete their end-of-season reviews prior to their departure from the UK on Tuesday. Cheika has been Wallabies coach since 2014, reaching the World Cup final and winning the Rugby Championship the following year as he was also named 2015 World Rugby Coach of the Year. Email “Rugby Australia hang up on Jake White after Wallabies coach bid”. Feedback on “Rugby Australia hang up on Jake White after Wallabies coach bid”.